48″ of snow? Why to love it. 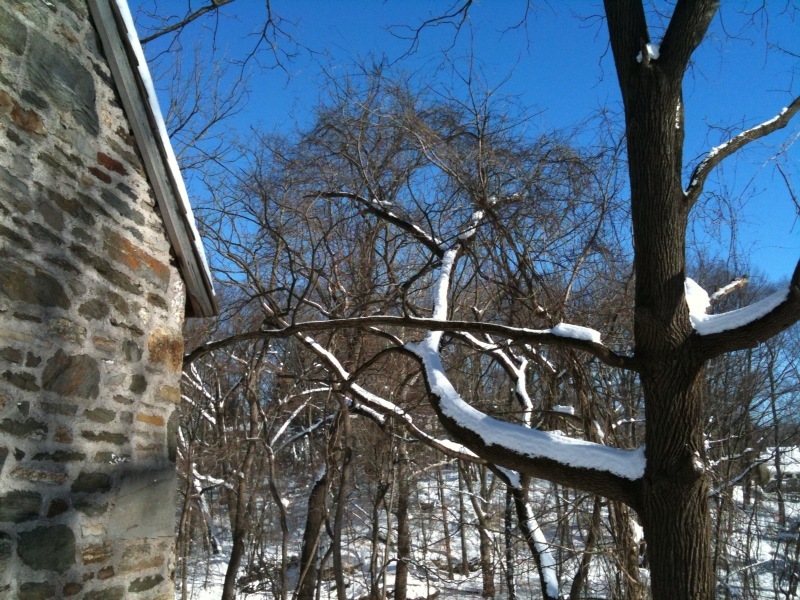 I have two choices today as I watch inches 28 through 48 fall outside my window here in Philadelphia. I could whine and complain and lament the fact that I’m stuck inside with my four kids out of school. I could wish I were digging in my garden. I could wish tulips were blooming. I could wish my toes were warm. But instead, I will choose to love the snow. Here are my reasons. #1 If it were 32 degrees and sunny on this February day, no one would be outside. But, on this 32 degree snowy day, I see neighbors talking and laughing as they shovel and shovel and shovel. I see children playing, sledding, building forts. I see enterprising young men walking the streets with their snow shovels, looking to make some extra money. 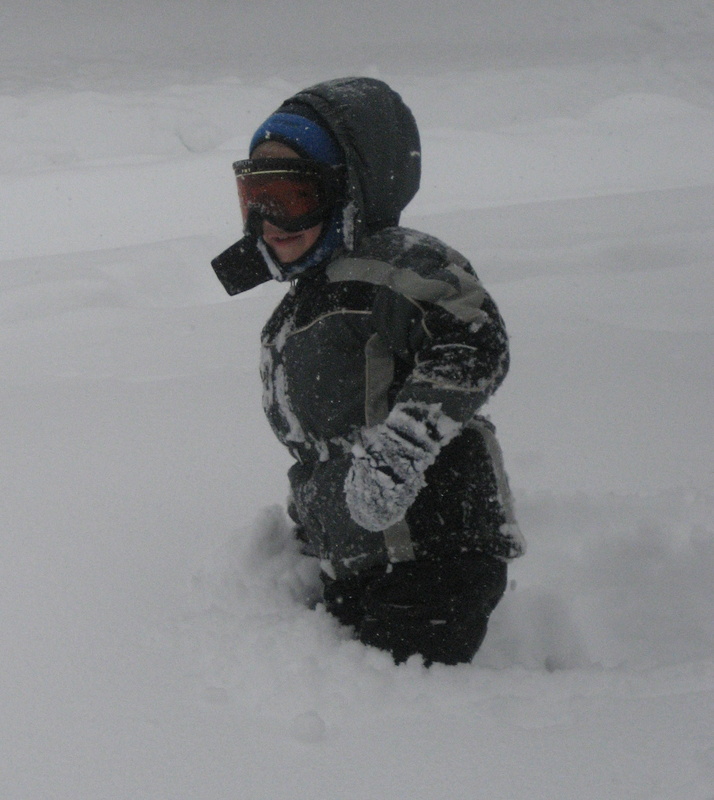 Even though the snow approaches waist high – my children happily don their gear and head out to look for adventure. 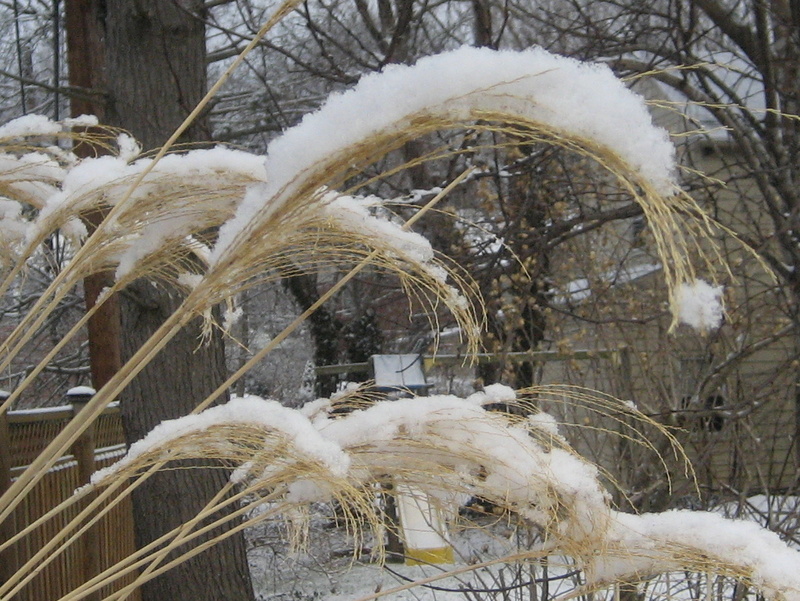 #2 Snow shows off my garden’s architecture. 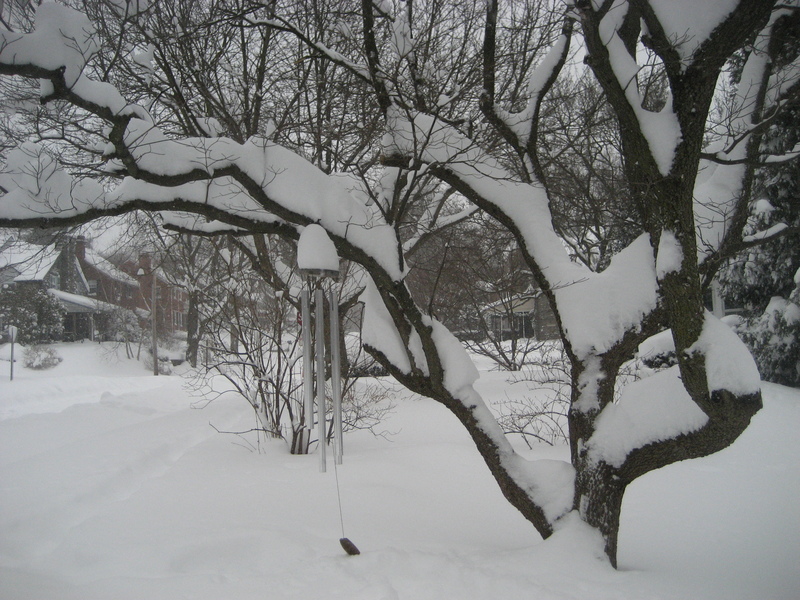 Snow paints the trees, tops the dried flower heads, perches atop bird feeders and fence posts. 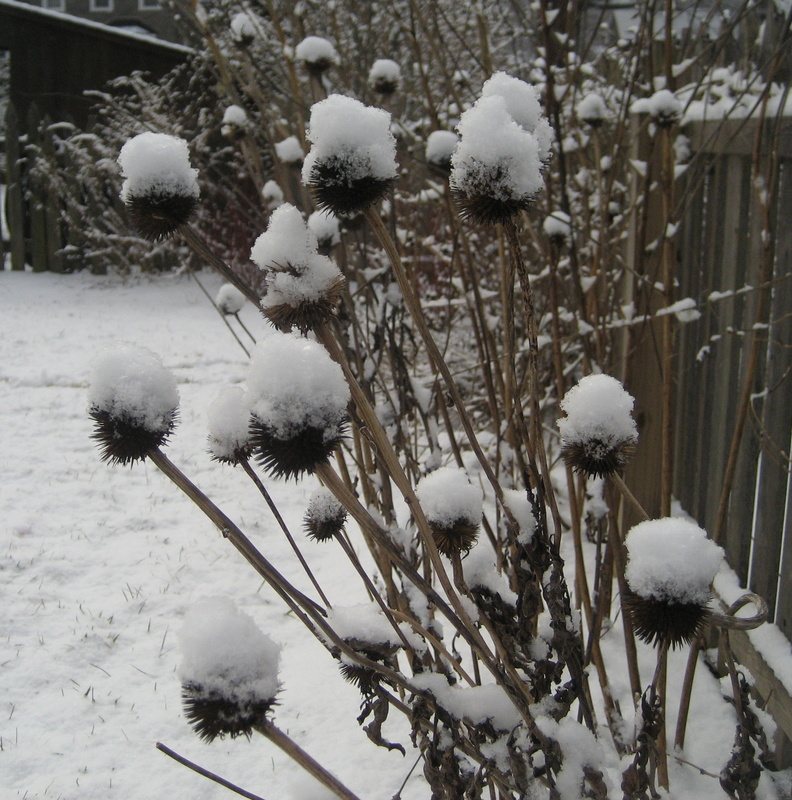 I knew there was a reason I didn’t trim back those coneflowers in the fall. #3 After the snow stops, the sun will come out. They sky will turn blue. 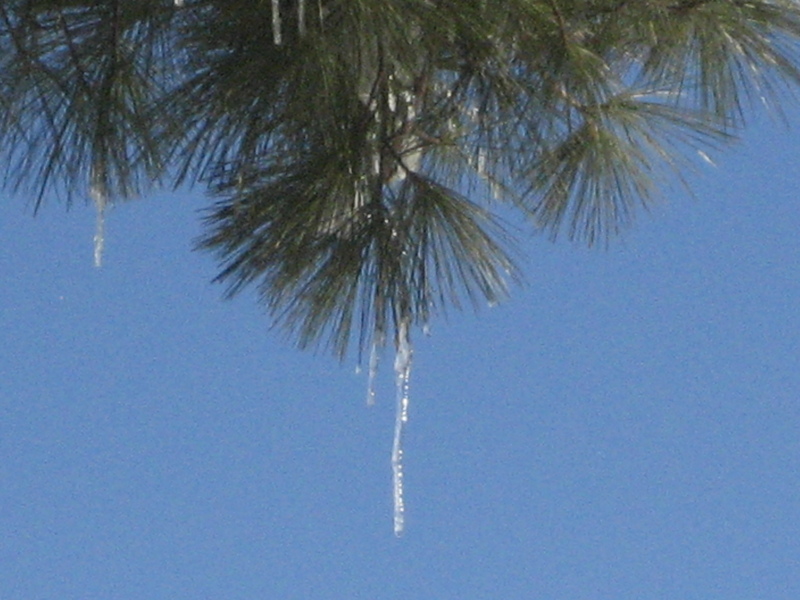 The icicles will shimmer. Then the real show begins. 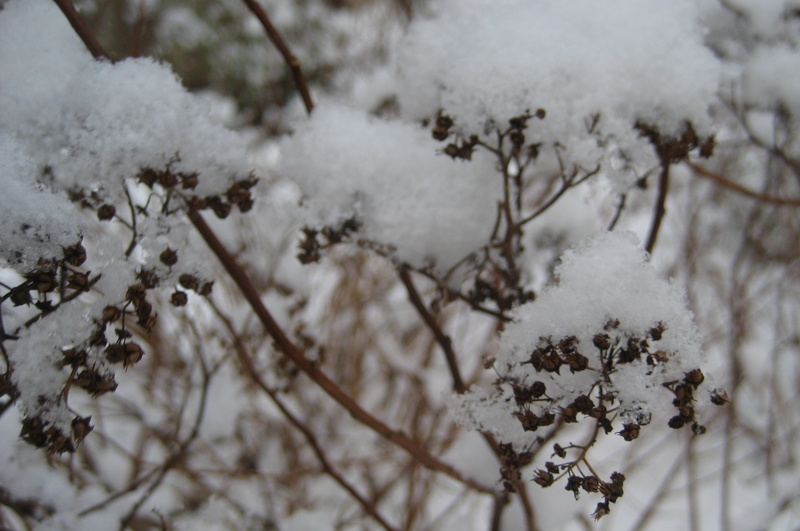 (I took these photos between the storm on Saturday and the one today, on my lovely hike in knee-high snow). See what all you deep south, west coast and desert gardeners are missing? I know your sun is shinning and your tropicals are blooming. 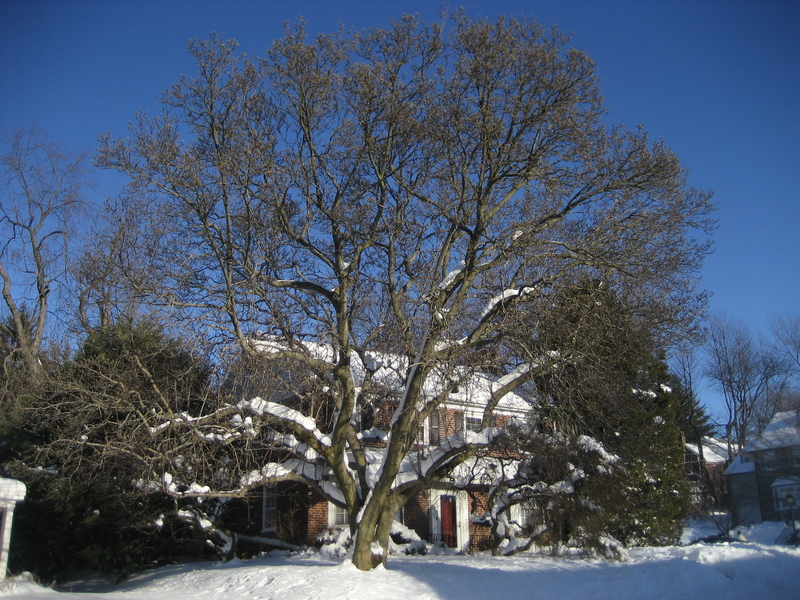 But eat your heart out: we’ve got snow.